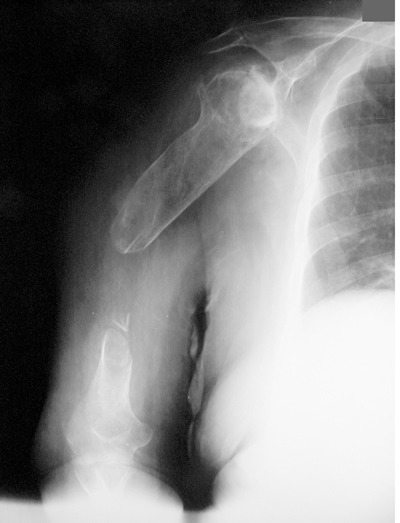 This x-ray of an 83-year-old woman 15 months after a humerus fracture shows a wide gap at the fracture site and very thin bone. The patient was initially treated nonoperatively at an outside facility by other physicians and presented with considerable pain and was disabled. 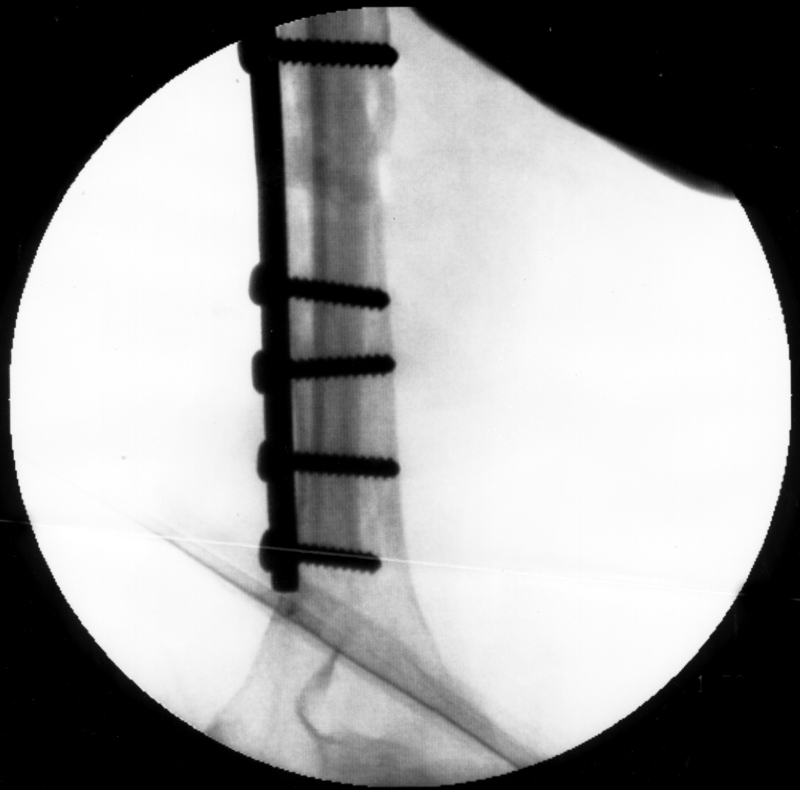 This image taken during surgery shows the positioning of an intramedullary allograft bone graft as well as the method of stabilization with a plate and screws. A second plate was placed to increase stability. 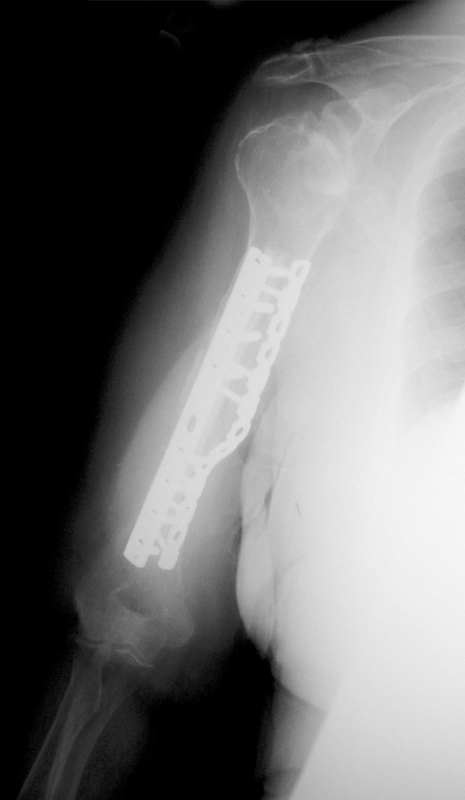 Final x-ray 7 months after surgery shows good bone healing without loosening of the plates. The patient had no pain and had improved her function markedly.